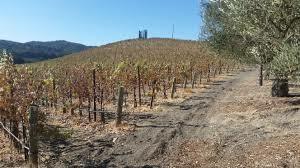 Harvard University has quietly become one of the biggest grape growers in California’s drought-stricken Paso Robles wine region, securing water well drilling permits to feed its vineyards days before lawmakers banned new pumping, according to records reviewed by Reuters. The investment, which began as a bet on the grape market, has turned into a smart water play as the wells boosted the value of its land in the up-and-coming wine region of Paso Robles. But it has also raised questions about the role of big investors in agriculture in the midst of a water crisis. Brodiaea Inc, wholly owned by the secretive $36 billion Harvard endowment fund, has spent more than $60 million to purchase about 10,000 acres in Santa Barbara and San Luis Obispo counties since 2012, making it one of the top 20 growers in Paso Robles. Harvard Management Company, which runs the fund, declined to comment, citing a policy of not discussing individual investments. Brodiaea officials did not respond to repeated phone messages.